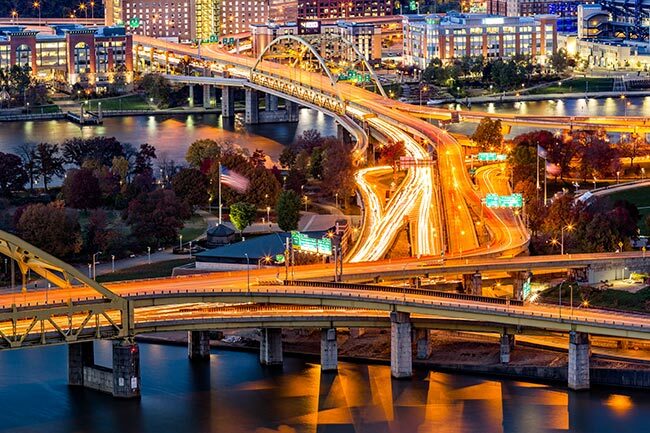 As one of the oldest continuously-occupied cities in the United States, Pittsburgh has gone through countless economic transformations. Originally founded on the site of a major fur trading depot, the town developed into an industrial center, with a particular focus on steel production. Nowadays, Pittsburgh specializes in bioscience researchers and similar technological development firms. By offering swift air shipping services to these and other businesses in the area, AirFreight.com bolsters the city’s economy as it continues to change and advance. The Pittsburgh metropolitan area has a population of roughly 2.3 million people, who extend throughout Allegheny County, much of Western Pennsylvania, and parts of Ohio and West Virginia. Such a large and far-flung population tends to produce heavy commuter traffic, leading to frequent congestion on local roads. This problem makes it harder for the city’s advanced businesses to get the supplies they need in order to keep advancing. It also prevents firms that produced finished goods from sending those goods out to the rest of the country. Thus for the sake of both Pittsburgh and the entire United States, it is essential to have alternative shipping options besides ground transport. AirFreight.com offers just such an alternative for businesses throughout the Pittsburgh area. 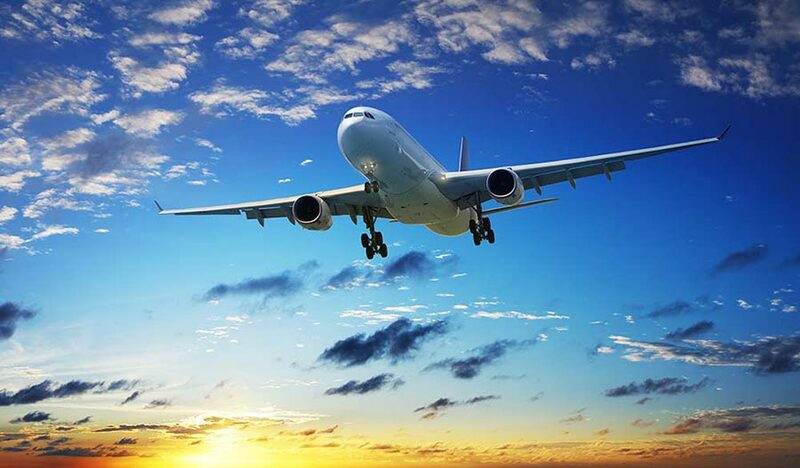 Our team of commercial air freight experts can organize flights both into and out of the city proper, as well as through other communities in the area like Altoona, McKeesport, Ambridge, New Castle and Bethel Park. Safety - This is the first pillar for a reason. No matter how quickly we deliver your shipping goods or how many types of goods we are able to deliver, our services won’t benefit you if your order arrives in pieces. For this reason, we work only with airlines that have consistently demonstrated their ability to get clients’ items to them intact. We also familiarize ourself with the unique storage needs of the specific items you want us to deliver, and make sure that the airline knows how to store them appropriately. Speed - After ensuring that your order is shipped with the highest standards of safety, we turn to making the delivery as swift as possible. Our team finds the quickest possible route to your destination, taking into account wind patterns, the need for connecting flights, and a variety of other factors. We also monitor your goods while they are in the air, so that if there are any delays, we will know immediately and can take the steps necessary to minimize them. Transparency - AirFreight.com offers you full access to all the information we have on current and potential orders. If you’re considering placing an order, we will give you a precise quote on that order, free of charge. And if you currently have a shipment in the air, you can find out its precise position by calling our 24/7 customer service line. For more information on swift, safe, transparent shipping in Pittsburgh and across the country, call (412) 593-2000 or visit AirFreight.com today.